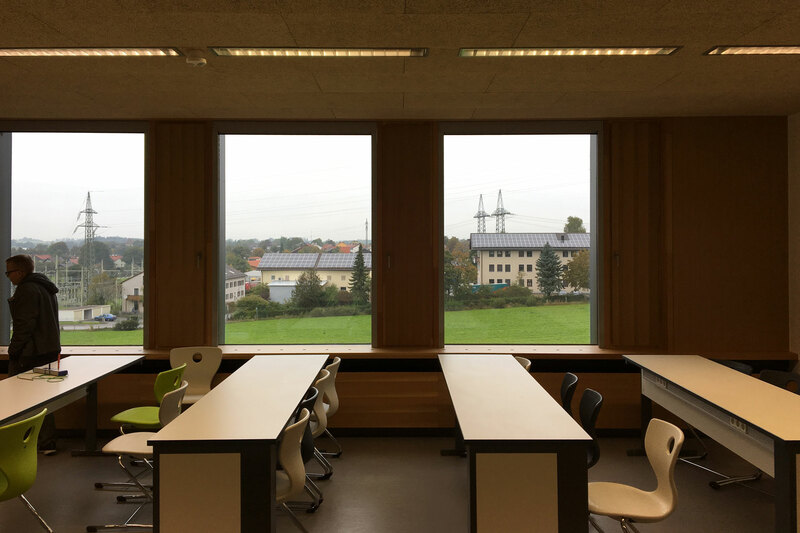 Transsolar’s focus for the new construction of Realschule Murnau was to ensure excellent ventilation in all classrooms. Costs, operation, and maintenance were all important considerations as well. When rooms receive the only ventilation through open windows, the air is often stuffy, particularly during the cold weather months when windows usually remain closed. Noise pollution is an additional reason windows often remain closed as well as insufficient thermal comfort as uncontrolled cold air from the outside often seems drafty. 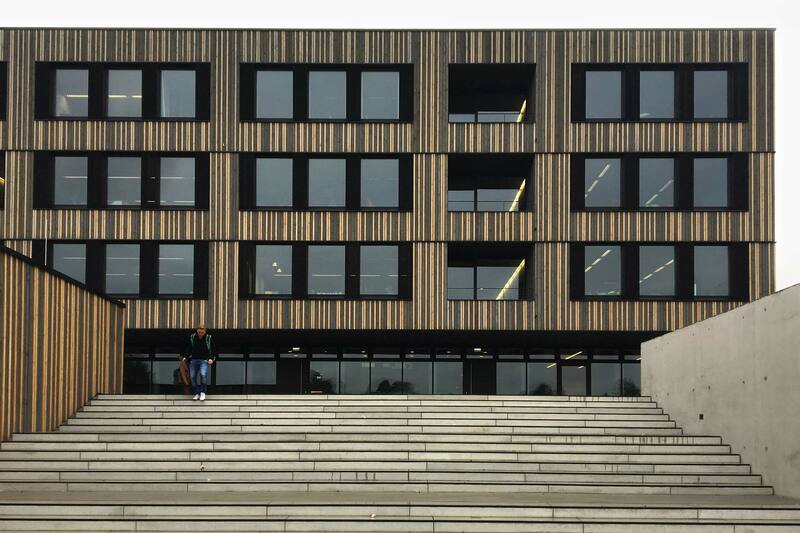 The goal in the planning of the construction of the new school building was to develop a largely user-independent ventilation concept, which offers both high air quality and good thermal comfort throughout the year. The ventilation concept for the classrooms is based on automated continuous basic ventilation. Intermittent ventilation is also an option by opening ventilation wings in between classes. 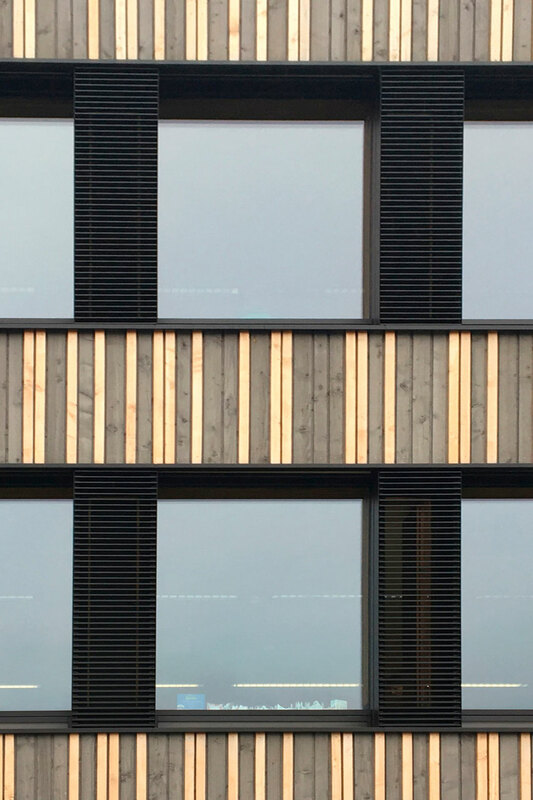 The air supply outlets are integrated into the façade. The exhaust fan on the opposite side ensures a constant supply of fresh air of about 12m³/h per person at full occupancy. The acoustically effective air inlets are below the fixed glass windows directly in front of the radiators; the incoming air flows through them and heats up. 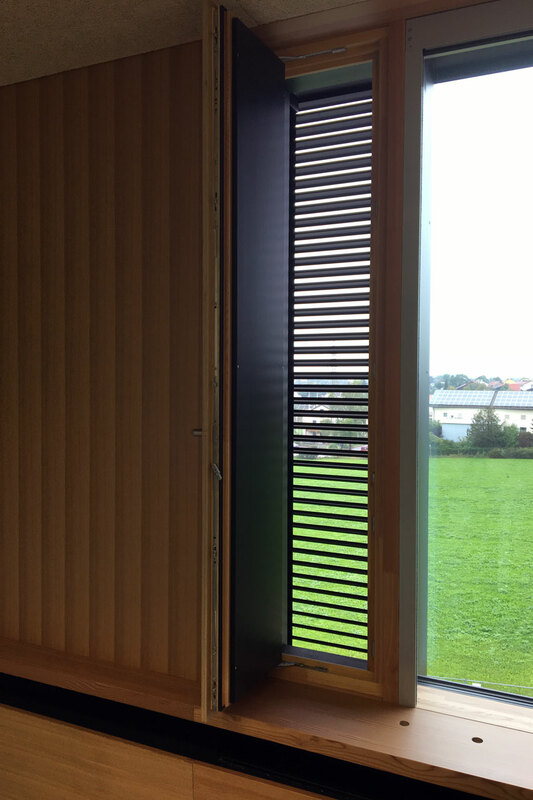 This way fresh air enters the classroom at a temperature of 20°C without draft even in winter. A motion detector controls the ventilation system: The outside air passage opens and the exhaust fan starts only when a person enters the classroom. 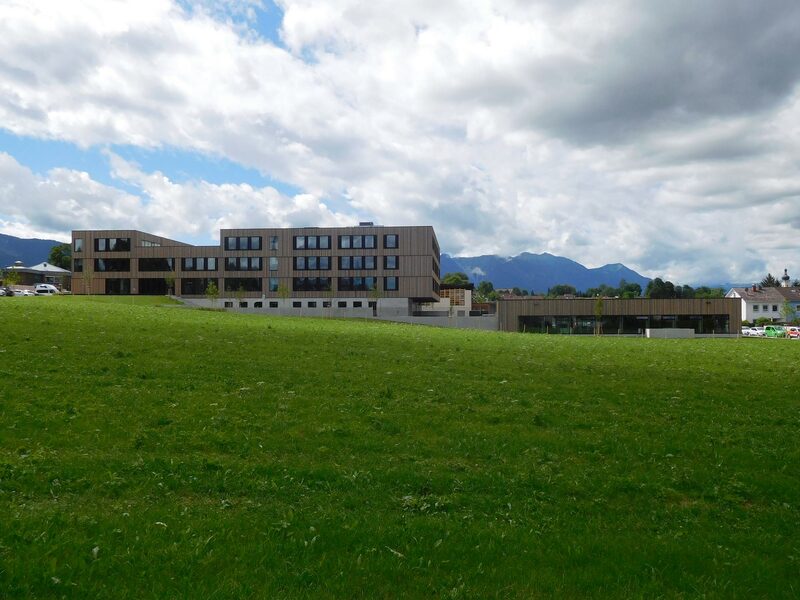 After two years of operating experience, the school's management has confirmed that the system fully meets the goals of air quality (CO2) and thermal comfort. Ad hoc measurements made during a visit confirmed this. The objectives regarding the cost of maintenance have also been achieved.